1: Information About Game Run 3 Unblocked. 3.1: How many levels are there in run 3? 3.2: Which level is the most difficult in run 3? 3.3: Where to play run 3 unblocked? Information About Game Run 3 Unblocked. Infinite mode: A harder mode where you can collect power cells scattered throughout the roads. Being able to login to Facebook, Twitter to save your score in infinite mode. 8 achievements for you to accomplish and receive power cells. In the levels, there are grey cracked tiles which break away upon touch alongside every other grey cracked tiles that attached to it. With the newbie, how to play run 3 or how to beat run 3 are the frequent question. Let’s me tell you, it is quiet very easy! 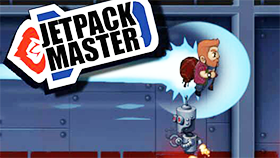 Using button left or right to move, space to jump, P to pause the game and R to reset the game. Also, you can change the game control keys by clicking on it. Achievements are an optional challenge in Run 3 and which make this game become so funny. There are 75 achievements in Run 3 and You will receive them when finishing the mission. While the amount provided differs from one achievement to another, it is always between 50 and 1000 power cells, depending on the achievement's difficulty. And you can use the achievements you received to unlock new characters or using them for the next mission. Unlike the first two game, there are ten playable characters in run 3: The Runner, The Skater, The Gentlemen, The Duplicater, The Child, The Pastafarian, The Student, The Angel, The Lizard, and The Bunny; with each character, it has own personalities and abilities. 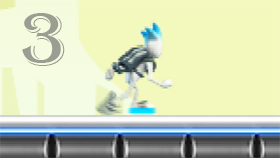 The Runner is the default character in the game, she has no special abilities but her speed, jump height and maneuverability are slightly higher than average. She can beat at every level if you know how to use her properly. In terms of costumes, The Runner has two types of costumes: the winter costumes and Halloween costumes. Skate is a challenging character in the game; To unlock him, you need to beat level 10 or buy in the store with 300 power cells. Skate is one of the fastest running characters in the game - 21m / s; His jump’s ability is lower than normal but the jump far’s ability is great. In costumes, Skate has a winter costume and it will be unlocked by defeating winter games or buying in the store with 500 power cells. Lizard is a character who does not understand the language in run 3 and you can unlock it by defeating level 40 or buying it in the store with 600 power cells. It is quite lazy but its jump’s ability is very high. Lizard's speed is very slow, at only 9m / s - which makes it become the slowest character in the game. As mentioned above, Lizard is a lazy character, if it fails a level multiple times in a row, it will give up and go to sleep. The Child is the son of Duplicate; he often appears with his father but occasionally he also likes to sneak track alone. To unlock the Child, you need to defeat the low-power tunnel or buy him in the shop with 2000 power cells. With light weight combined with his balloon, the Child can run on ruined brickwork without shaking them. However, the speed of child is quite slow, only 10m / s; Low maneuverability makes him move difficulty. Bunny is described as a hyperactive creature in the universe. Like Lizard, it does not understand the language and is not capable of communicating. You can unlock the Bunny by achieving 8 achievements or buying it in the store with 2000 power cells. Bunny has the best speed, jump and maneuverability in the game, but it never stops jumping and this can make you hard to control it. The Gentleman is known as a collector of eccentric power cells. You can unlock Gentleman with 2000 power cells. Duplicater is a suspicious character, he only believes his son and animals. The Duplacater can only be unlocked by purchasing him in the shop with 6000 power cells. He can create his own copy in seconds (up to 6 copies) and the copies will mimic his actions. The Pastafarian is a priest of the church. She can only be unlocked by buying in the store with 6000 power cells on web or 25000 in Mobile. The Pastafarian's ability is that she can run on the light bridges very fast. Her normal speed is 9m / s, but when running on the light bridge, she can reach a speed of 12m / s.
In costume, the Pastafarian has an unlockable outfit, a pirate costume. The Angel is an engineer and he works in the factory. His ability is to jump in the air to speed up. The maximum speed of the angel is 19.5 m / s, the highest jumping ability is 3.6 m. You can control him easily. Usually, he works like a runner, he can run fast and have moderate maneuverability. 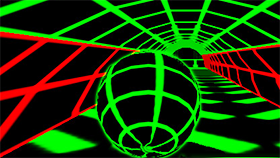 Tunnels are long tubes formed from bricks and boxes, man-made or naturally formed. As mentioned before, there are more than 20 playable side tunnels in run 3, including main tunnel and several tunnels that even branch out of side tunnels. 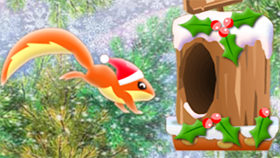 The Winter Gameis a tunnel branch off of the main tunnel, appearing at level 15. This tunnel consists of 20 levels. It has two branches: The Way Back and the W-tunnel, both at part 9. However, The Way Back tunnel is only unlocked after completing the Going home check list. The New tunnel is a branch off of the Low-power tunnel, appears in part 15. Before unlocking this tunnel, you have to get the Duplicator and Child. The U-Tunnel is a side tunnel that branch of the main tunnel, appearing at level 40. This tunnel leads to the Crystal Gallery; it is not too difficult to beat, so every character can play. When you run on another lane, that lane will turn into a floor. You can pause / resume / restart, switch aliens and turn on the music, turn on / off the sound in the pause menu. Never use Duplicator at level 78 because his copy can also push bricks, which make you hard to avoid the Crumbling tiles. At this level, you should use the Runner or Student. Using the Bunny, Duplicator or Child to beat Plan A part 16. Using Runner, Child or Bunny to beat level 65 of the main tunnel. How to beat level I-5: You should use Runner or Student to beat this level. Besides that, do not jump high when you are near the platforms because which make you cross them. You should adjust your jump’s lengths based on the distance between the platforms. To defeat level T-7 – one of the hardest level in the game, you should use the Bunny, Student or Duplicator. To defeat level T-4, Runner, Duplicator or Child are recommended. To beat level L-1, you should use Runner or Lizard. If you use the Runner, you ought to use small jump and don’t skip the platforms. If you use the Lizard, you should use high jump and skip the platforms. To defeat level L-2, you should use Lizard, Runner or Pastafarian. A tip to beat this level that you should run to the side of the path, then make a high jump to get to the next path. To defeat level L-3, the Runner and Child are recommended. 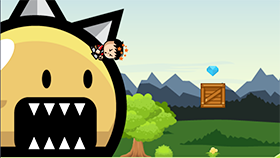 You should use small jump to go over small gaps to beat this level. How many levels are there in run 3? There are total 298 levels in run 3 which be published before May 5, 2018; including several extra levels like winter game, B, N and L. In the main tunnel, there are 65 levels which you have to finish. Which level is the most difficult in run 3? As a result of the poll which was organized by wiki last November, the hardest level in the game run 3 is plan A part 16 (58,17%).At this level, you have to jump over different platforms, most of which have only one big block, that make jumping extremely difficult. There are even boxes that can hinder your jump. Your tip for this level is using the Bunny, Duplicator or the Child. Where to play run 3 unblocked? 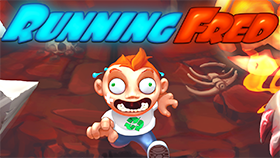 If you are looking for a website that offers run 3 unblocked games, Congratulation! You are at the right place because Freegames66 provide game run 3 unblocked. Here, we give you a nice and user-friendly game’s interface - all for free. If you have any question or recommend about the game run 3, share us your ideal and we will discuss together. Now, it is the time to play the game, Let’s start!